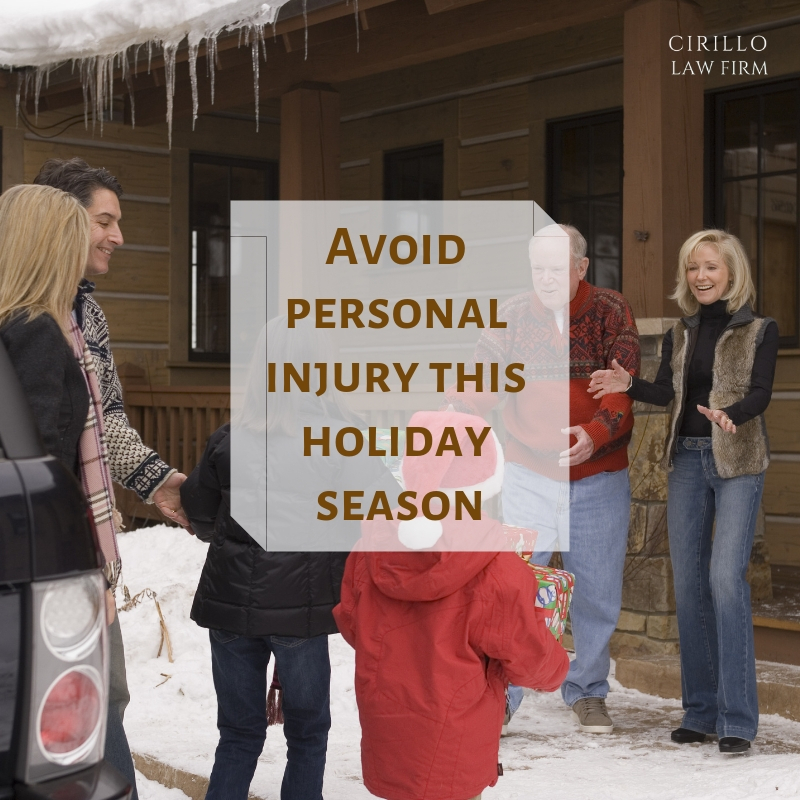 Holidays are the time when the last thing on anybody's mind is to get injured and visit personal injury attorneys. However, things do not happen the way as we plan them to be. At the merriest time of the year during our holidays, chances and risk of injury increases. So for the benefit of you all, here are the risks that can pose injury and can make you fix meeting with your personal injury lawyer. Eat and drink in limit: One of the most common reasons for getting injured during the holiday season is due to overeating or drinking more than enough at parties. Make sure not go overboard with drinking and eating at parties. An injury is not only when you meet with an accident, but falling ill due to such negligence is also counted as getting injured during the merriest time of the year. Keep your excitement down: Don’t get overexcited during holidays, and don’t get try to overboard with decorations all by yourself. Doing party decoration all by yourself standing on a high ladder on a hard floor can cause major injury and can land you in personal injury law firm New Haven. Negligence: Most of the time during holidays, we end up neglecting our daily medicines. Physicians also during this time of the year gradually reduce their working hours and that is why you fail the get your prescription refill. Don’t make such negligence and ensure that you take care of your medication and get it refilled well on time to avoid any sort of injury or health hazard during the holiday season. Kitchen injuries: Holidays is the time to attend parties and throw parties. And while hosting one at your home can lead you to spend a lot of time in the kitchen prepping for the food and snacks to be served. However, while prepping for such events we often work too quickly. Such quickness and negligence in doing work can create potential health hazards. Kitchen injuries can prove to be really dangerous at times, that is why it is really important to be extra careful while working in that part of your home. Work slowly and steadily.